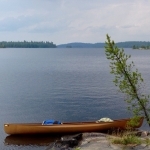 Canadian Canoe Routes • View topic - what store dehydrated entrees are good? do you have a fav? what store dehydrated entrees are good? do you have a fav? Phil is right...there are a ton of good store-bought meals if you scrounge around a supermarket. I recently found products made by "Zaterain's" in my local Metro store. Jambalaya and Black Beans with Rice. They are 227 gram packages that you add a couple cups of water to and simmer for a while. They give you 6-130 calorie servings so it seems like a good calorie/dry weight ratio. I tried the Jambalaya the other day with some smoked sausage in it and it was very good! As some others have mentioned, they are a little high in their sodium content though. Casbah Falafel mix. Not quite vegetable, not quite bread, great with a fish dinner. just a quick note to say "thanks" to everyone that replied. i learned a few things, and that is always good. i am slowly loading up on "mountain house" products and the "deluxe k.d. (thanks phil)"
i am also checking out a few more ideas. Any dry cured salami/sausage should survive without refrigeration. I buy Tanjo's summer sausage from the St. Lawrence Market in Toronto for most every trip we do. I take Landjaeger for snacks. Its a dried sausage that you bite into and not designed for sandwiches. Trick doesn't work so well in the Everglades.. its too humid. Kim's description of how perishables are kept on the reconnaissance expeditions of The Wabakimi Project works even in the warmest weather in late June and through July. In extremely hot weather, we bury our 'cooler' well away from the campsite under a deep bed of boreal forest moss. The results are outstanding! We use "Hungarian" and "Genoa" sausage meats obtained from our local Metro deli department. We make lunch wraps with cheese carved from 750g blocks of Mild, Medium and Old cheeses. They last longer in our 'cooler' in that order. We also keep margarine, mustard, ketchup and chocolate bars in the same 'cooler' wrapped in a wet terry dishtowel with much success. I have had good results with Bauly Foods in Brampton. They don't have enormous variety, but their meals are hearty and they supply single ingredients like meats and vegetables. The folks at Bauly are friendly and have been very obliging about shipping on short notice.